To discuss your truck exhaust system requirements, call Alan or Wayne on 03 9791 8455. 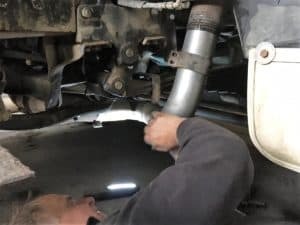 Our services include – fitting chrome stacks, muffler replacements, custom pipe work and redirecting or reconfiguring exhaust systems. 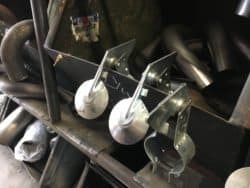 It’s inevitable that your exhaust and catalytic convertor is going to wear out over time. We have many years industry experience to be able to keep your truck on the road. 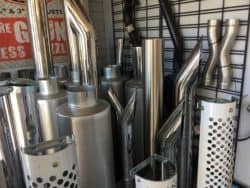 We can repair or replace exhausts and mufflers for most makes and models. 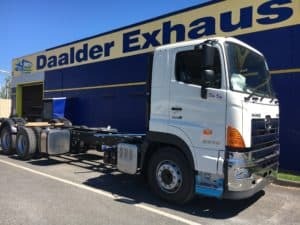 Book a time to bring your truck into the workshop and we can do a comprehensive inspection to determine what work needs to be performed to rectify any truck exhaust issue.